It is not always easy to craft poetry using stylistic devices. 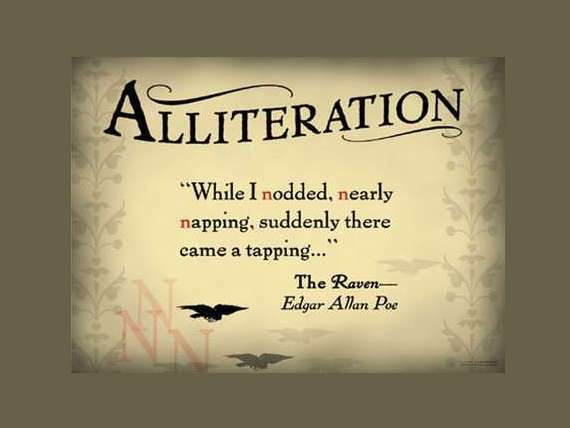 Alliteration Poems from the writers at My Word Wizard do just that. These poems deploy a technique that use the same consonant at the beginning of each stressed syllable in a line of verse. For example "behind the tree the befuddled beagle barked ". In the field of green, green grass. Hippity Hopping on their happy bunny feet. The rabbits prance and pounce. As blue birds fly by. Of the running, rotten rats behind them. Rockets rushing in a race to the glass. Rattling rain, rattling the window panes. A pool of promise for a rainbow. Leaping Lions leap after lengthy naps. To prepare properly for the precious hunt. Gallop gallantly on the grassland plains. Then they too sleep serenely after strenuous stretching. Predicting and preparing us to pray. The secrets that have been secretly hid.